Scrutiny: OMG!! Nach Baliye couples to get locked up for 2 months under camera surveillance.. OMG!! 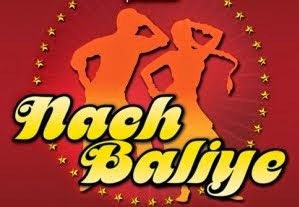 Nach Baliye couples to get locked up for 2 months under camera surveillance..
Star Plus popular dance reality show 'Nach Baliye' is coming back with another season, TV czarina Ekta Kapoor will be producing the upcoming season. We heard, the reality show will resemble the Colors' much talked and controversial reality show. Like Bigg Boss, this celebrity couples will be locked up for over 2 months under 24 by 7 camera surveillance. According to our sources, "The production house decided to lock up all the celebrity contestants for more than 2 months. The celebrity couples are divided on the basis of their relationship status. The married couples and those in relationship will be put up separately." We heard Aditi Gupta-Rizwan Bachav, Vahbbiz Dorabjee-Vivian D'Sena, Jay Soni-Pooja Shah, Sanaya Irani-Mohit Sehgal and Mrunal Jain-Sweety Jain were approached to participate in the show. The shoot is expected to start in March. Sanaya will never participate as she is no longer with mohit....he is just a frnd now! !